We all consume food daily, and take it for granted that the producers offers us, as consumers, fresh and digestible goods. However, a considerable effort is involved in providing unrestricted enjoyment. Foodstuffs go through a complex process before we finally consume them. This requires legal standards, conscientious experts and the corresponding tools for testing quality. Testo South Africa measuring instruments make a significant contribution towards taking foodstuffs safely through all processes. It is our objective to provide suitable measurement technology for the different requirements and applications of the professions working in the food sector. 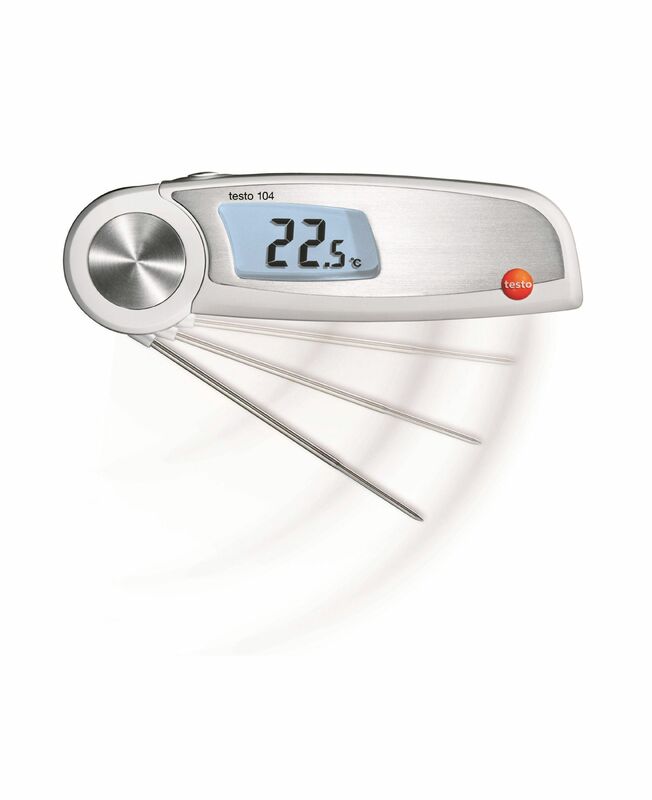 Waterproof folding food thermometer for the food sector – the testo 104! Handy testo 106 food thermometer you will be well equipped to measure the core temperature of your food products. 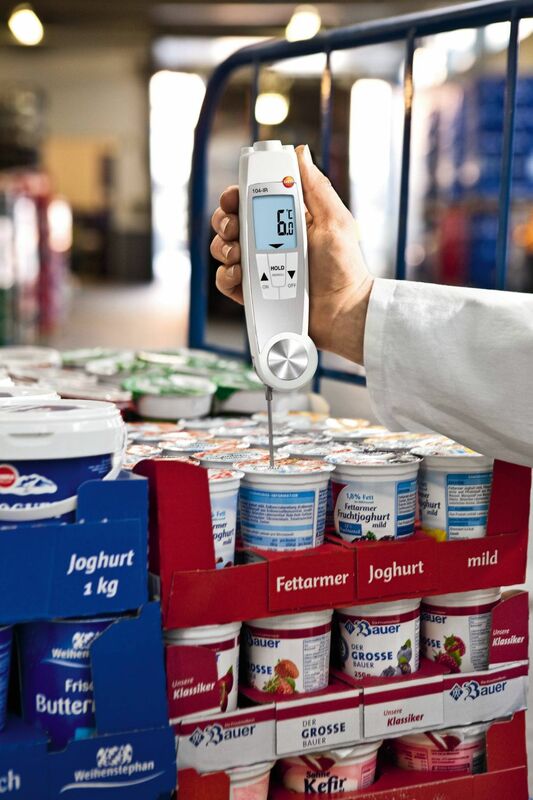 Infrared thermometer allows you to carry out quick and precise temperature measurements of whole pallets of food and smaller products from a distance. testo 104-IR – Multi-scanning with penetration control. Our best termometer. The testo 104-IR is a waterproof (IP65) penetration thermometer combined with an infrared sensor for noncontact temperature measurement. It can be used for all sorts of applications in the food sector. 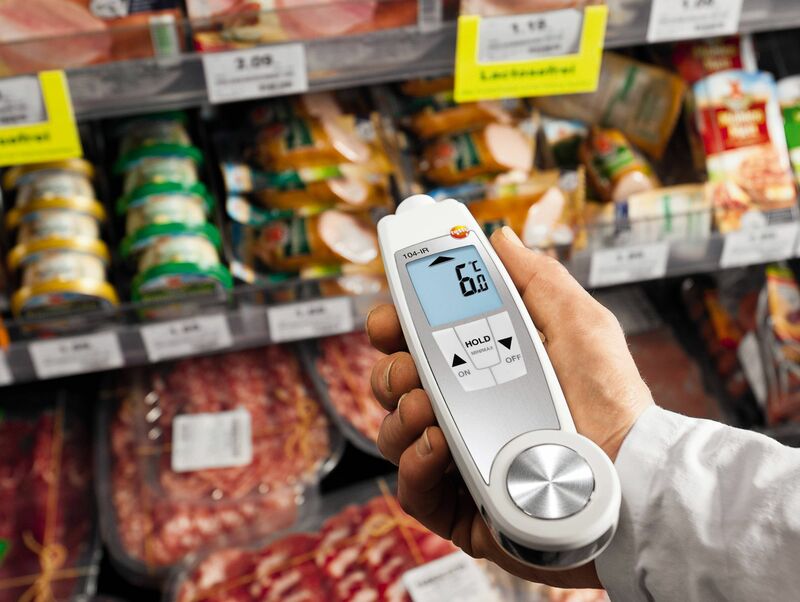 The testo 104IR scans the surface temperature of individual foods or entire goods pallets without contact, particularly in the Incoming Goods department. If a limit value is exceeded or undershot, the hinged penetration probe is also able to measure the core temperature. Why is it important to measure temperature? In the case of foods which cannot be stored at room temperature without potential problems, the cold chain may not be interrupted. Any deviations (e.g. during loading and unloading) are only permitted within certain limits (maximum 3 °C) and for a short period of time. In means of transport (e.g. containers, trailers, cargo holds of trucks) larger than 2 m², or cold storage areas larger than 10 m³, the temperature must be recorded. The thermometers used must be calibrated at regular intervals. 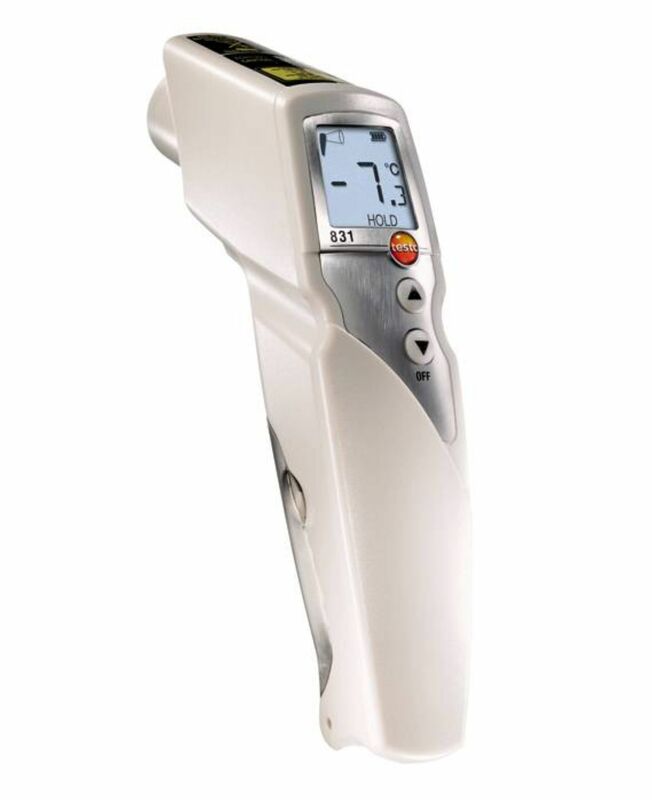 Portable temperature measuring instruments, often referred to simply as handhelds, are available in different designs and with different probes. 1. Instruments with a fixed probe are suitable when always carrying out the same measurement task, e.g. a core temperature measurement of refrigerated foods. How does infrared measurement technology work? Testo measuring instruments for food have obtained the HACCP International certification and are therefore judged to be “food safe”.